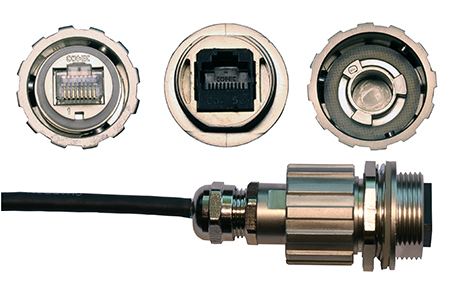 The MS8420 converts the MS8400 data stream to a fiber optic capable signal. 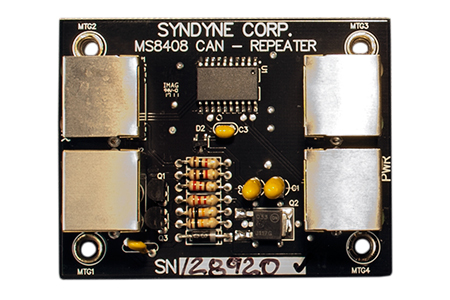 The CAN repeater is useful for extending the length of the MS8400 data stream and isolating multiple consoles and chambers. 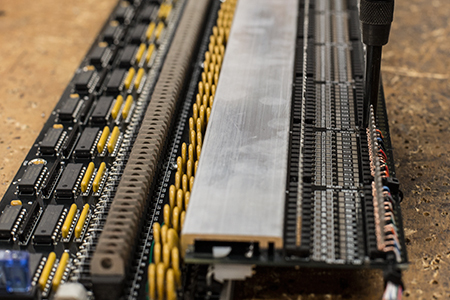 Our wire harnessing department makes high quality and cost effect system harnesses with full connection documentation. 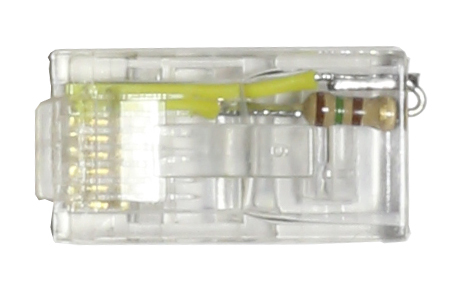 We sell CAT5e cable at a variety of lengths for connection between boards in the MS8400 system. 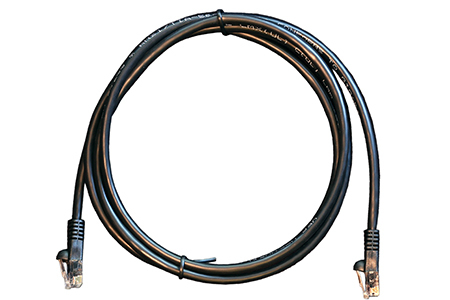 In situations where consoles move around or the data cable is run through high traffic areas, we recommend a heavy duty industrial data cable with a rugged removable connector. 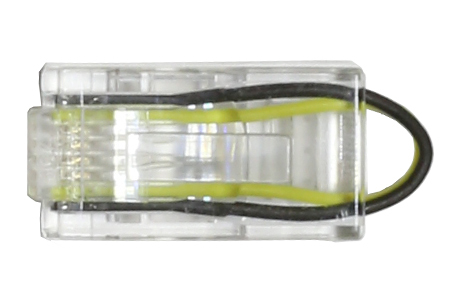 The MS8400 DTR Termination Resistor is used to terminate the MS8400 data stream. 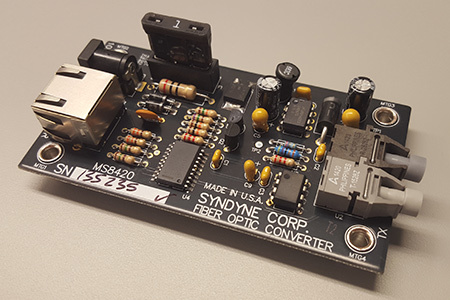 The MS8400 DJMP Display Connector Jumper fills any open Display connectors on the MS8401 General Controller card. 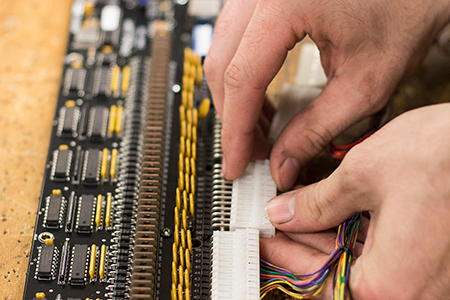 A variety of Adaptor Boards are available to improve system installation speed and simplicity.